It is my humble opinion that saying “coffee is popular” is an understatement. Coffee is ubiquitous. Even modest coffee drinking countries like Sri Lanka show an increase in popularity, which is evident from the number of coffee shops popping up in Colombo and the number of vending machines at small cafeterias, offices and places of public gathering. Coffee is one of the few commodities that are most consumed by industrialised nations while being produced by so-called third world countries. 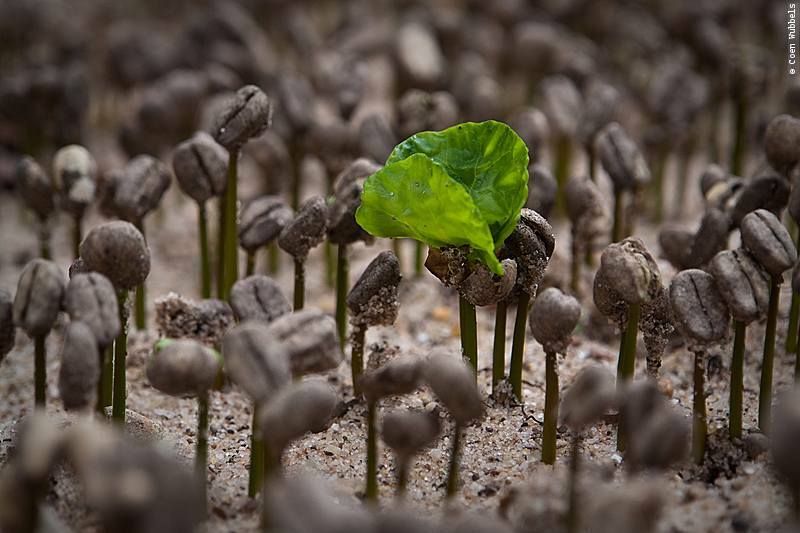 You would be surprised to know that developing countries account for 90 percent of the world’s coffee production and over 25 million people’s livelihoods depend on coffee farms. Brazil, Vietnam and Columbia are the top three producers, with 67 percent coming from the South American countries. To help gauge how much coffee is being consumed, here’s some simple mathematics. 1kg of roasted coffee can be used to make 60 cups of high quality coffee. However, if we were to make regular quality coffee, we can push that number up to about 144. In 2012 (latest stats available), global consumption was at 142 million 60kg bags. Take another sip of your coffee as you work out the staggering numbers. Looking back, it is amazing to see how coffee has risen to become the most popular beverage in the world. Studies say that an American coffee drinker consumes three and a half cups of coffee per day. At present, Finland consumes the most coffee per capita in the world. Drop us a line in the comments section and tell us how many cups of this guilty pleasure you enjoy each day. The farmers who produce our favourite beverage, like most agricultural workers around the world, are subject to poverty and debt by the global economic model. This system is designed to exploit cheap labor and keep consumer prices low. The concept of “fair trade” coffee was introduced to provide coffee growers with better facilities and higher profit margins. “Fair trade” also puts coffee importers directly in touch with the growers thus eliminating unscrupulous middlemen. Although “fair trade” coffee consists of a small portion of the market, it is increasingly becoming popular. Companies such as Starbucks and McDonald’s carry such coffee. It may take some time before these practices reach our fair shores. However, with most coffee growers still facing difficulties, here’s a closing thought – next time you buy your coffee, silently bless the money you pay for it, thanking all those who toiled to bring this cup of goodness to you.